I went in for a haircut yesterday and while I was waiting I started to flip through the September issue of Town & Country magazine. 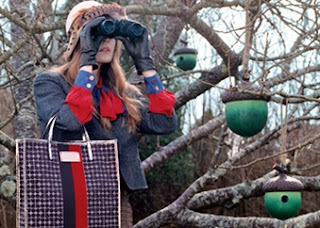 In the front pages, I came across this kate spade ad and was instantly mesmerized by the wonderful bird houses. I went to kate's site, did a google search and nothing... I just want to know where I can find one. If anyone knows, drop me a line.